The Angry Dad: Is this tomorrow? 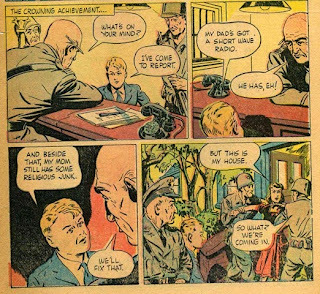 An estimated 4 million copies of Is This Tomorrow were distributed in the late 1940s. The book tells the story of a Red sleeper cell that takes over America after a nation-crippling drought. The saboteurs place agents in the media, foment racial unrest, take over Congress, brainwash schoolchildren, and rig elections. You can now view the cover or read the comic book free. 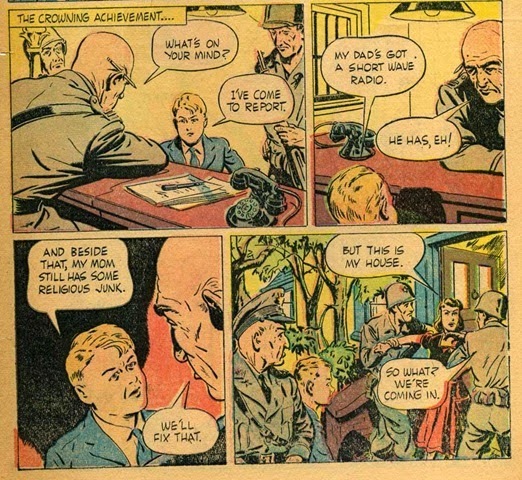 Wikipedia says that this was a piece of early ultra-right-wing paranoid McCarthyist theocratic propaganda. Here is more such criticism. The full text is here and here, with a more neutral description here. It seems prophetic to me. Hard leftists, bleeding heart liberals, and useful idiots have been played just like in the comic book. 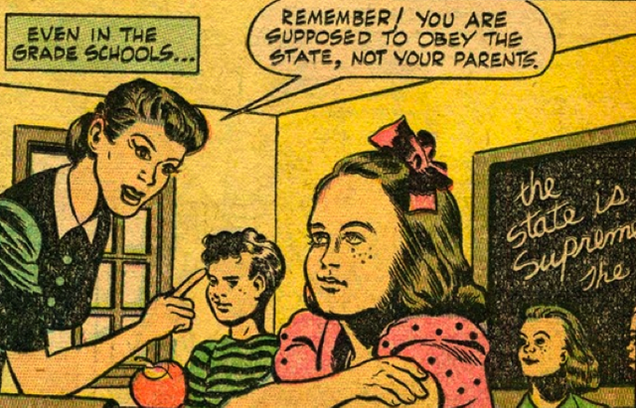 I remember being warned that a commie takeover would turn kids into rats on their parents, and indoctrinate kids that their allegiance is to the state, not the family. We did not have a commie takeover, but their lackeys have done a lot of damage. 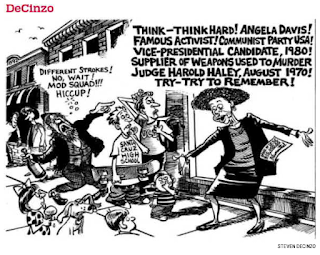 Here is the local Santa Cruz cartoonist depiction (from Feb. 7) of Black Panther Lesbian Commie Fugitive Angela Davis speaking on M.L. King day to attack Israel and the Jews.